Sipreano “Jimmy” Rios, Esq. is an accomplished criminal defense attorney and a partner at Brown, Suarez, Rios & Weinberg, P.A., a full-service Florida Law firm, representing clients in the areas of criminal defense and personal injury. He is also a member of the Florida Association of Criminal Defense Lawyers. Mr. Rios is a native of Amarillo, Texas and obtained his undergraduate degree in criminal justice from Sam Houston State University in Huntsville, Texas, one of the select few schools to offer an advanced degree in that field. After receiving his bachelor’s degree, Jimmy, as he prefers to be called, attended St. Thomas University School of Law in Miami, Florida. Jimmy has concentrated his legal career almost exclusively on criminal defense. In pursuing a career as a trial attorney, Jimmy joined the office of the public defender for Broward County, Florida (Ft. Lauderdale) where he was assigned to the domestic violence division; during his time there he gained valuable trial experience. 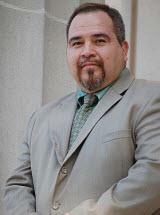 A consummate strategist, Attorney Rios works tirelessly on many criminal cases. He is known as a relentless fighter who never gives up on any case. Whether the case is his, or handled by another criminal defense attorney from Brown, Suarez, Rios & Weinberg, it is Jimmy’s goal to assure that every client receive the best legal representation possible, no matter how small the case may seem. It is his deep belief, and what he has built his entire career on, that there is hope for each and every client he represents and all avenues should be pursued regardless of the time and energy it takes. For criminal attorney Jimmy Rios devoting the finest criminal defense for every client is a must and he won’t settle for less. Jimmy has been married for 30 years with two grown sons, one of which has followed in his footsteps to become a criminal attorney, he also has three granddaughters whom he loves to spoil.